Home » IT & Tech Blogs » Information Technology » Backups » EaseUS Data Recovery Wizard Free Review: Recover Files Easily! EaseUS Data Recovery Wizard Free is software that can solve the problems of many people struggling with the loss of sensitive data without spending impossible figures. Here we will review your data recovery solution, Data Recovery Wizard Free 12.8, effective and immediate software to recover data lost or data deleted by mistake. Have you ever lost data due to some system crash, or virus attack? Well, no problem, because today on this article, we will review this easy to use data recover software EaseUS Data Recovery Wizard. Certainly many users get backup disks, raid systems, system recovery images, but sometimes even these solutions can fail, leading to the inevitable loss of important data. In this article we want to talk about a solution that allows you to restore documents, files and images that until now we thought lost, perhaps even irreparably. EaseUS known for creating a wide range of data management and recovery utilities that are suitable both for inexperienced users and for professionals in the sector. 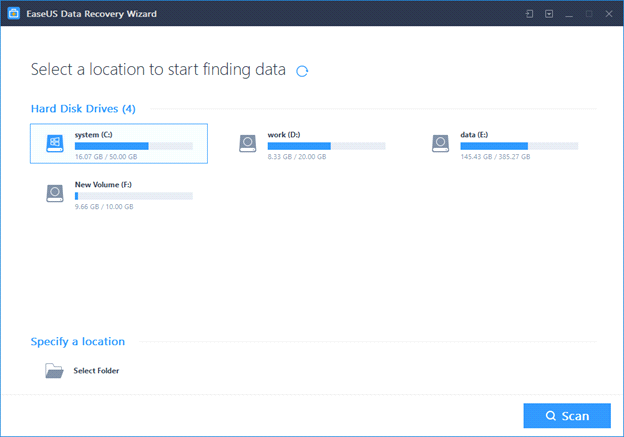 During this review, we will review the Data Recovery Wizard Free, which is designed to recover and restore data from multiple storage devices. WHAT’S NEW IN VERSION 12.8? Compatible for both Windows and Mac, EaseUS Data Recovery Wizard software performs data recovery for you in just a few simple steps. Currently there are several data recovery programs on the market, but with the help of the EaseUS data recovery wizard will help you recover both accidentally deleted files and files deleted by programs. It can also be used to access unmounted, raw or damaged partitions. 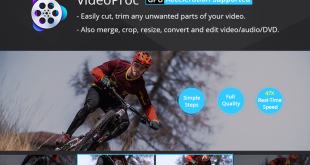 Advanced users will also appreciate its ability to recover data from servers and RAID storage. In general, the user experience is one of the best of all the recovery utilities we have reviewed. Its weak point is that it cannot scan the entire hard drive, only the partitions. Preview audio and video files. The scan process has been accelerated to search for lost data faster. More filter options for more precise recovery. EaseUS Data Recovery Wizard 12.8 is an impressive piece of data recovery software free that will even impress IT, professionals. It offers a highly organized recovery solution, allow you to recover lost, deleted and corrupt files, quickly and easily. For average Windows and Mac consumers, the best EaseUS software is Data Recovery Wizard 12.8. This software also provides recovery software for iPhones and Android devices. 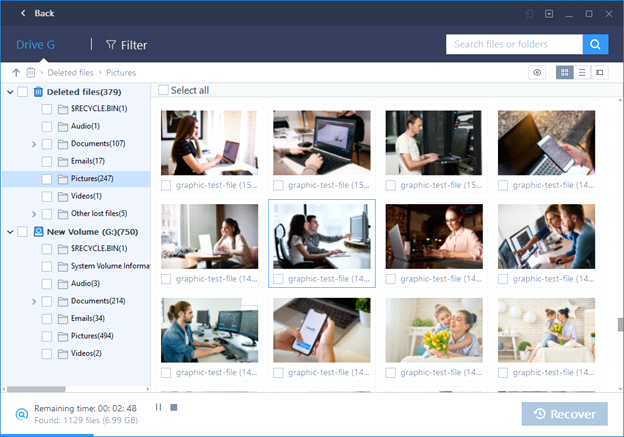 EaseUS offers trial versions of its software, which can be used to recover up to 2 GB data on PC and Mac. A trial run will help you determine if your lost information can be recovered before purchasing the software. Because it offers a trial version, the EaseUS 30-day refund policy does not apply to non-technical circumstances, so be sure you know what you are buying. The program can be used to recover data from unreadable micro sd, USB flash drives, SSDs and mechanical hard drives (internal and external). Furthermore, it is possible to recover data from deleted, hidden or lost partitions. Next, we examine the general recovery process using Data Recovery Wizard for Windows. The general experience with the Mac version of the software is similar. Once the application is opened, step one requires selecting a scanning location. You can choose to scan your desktop, Windows libraries, a specific partition or an external drive. If you are dealing with a partition that is not mounted or deleted, the Data Recovery Assistant will also display them by extracting information from the partition table. Unlike most data recovery tools, you do not need to run a full hard disk scan first. Choose the partition with which you want to work and press “scan”. The Data Recovery Wizard will automatically perform a quick scan and then start a deep scan. While scanning, the program displays a progress bar at the top of the application, along with a countdown of how much time is left before completion. You can browse and preview the files before the scan finishes, as you recover or wait until it is finished. The preview capability helps, since the recovered files receive generic names, as with most data recovery tools for Windows. Once the scan is complete, you can search for content by, file category (graphics, audio, documents, video, email, others) and search for files. The search is useful because you can search for a specific file type by searching for an extension (.txt, .jpg). The content you deleted personally will be in the “recycle bin” folder. 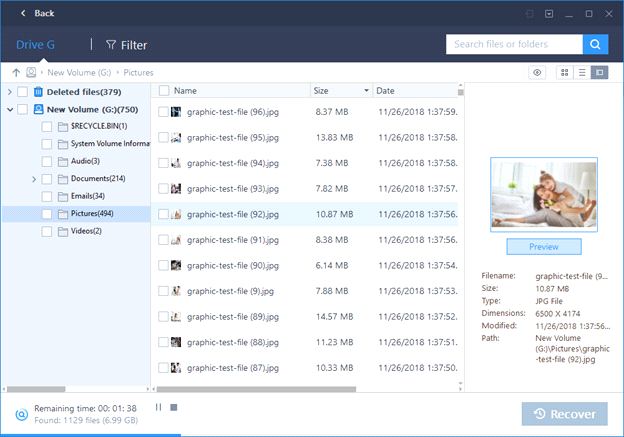 Content that was removed by other means, such as a program, can be found in a special folder marked as “more lost files (RAW)”. Content recovery is simple. Simply click on the check box next to the file name, press the “recover” button and select a recovery location. That location must be a separate partition, and you can choose an external drive. We were impressed after having a good time playing with EaseUS Data Recovery Wizard Free 12.8. The ability to recover data from HDD, SSD, RAID storage, servers and even optical drives makes it a very flexible tool. In fact, this data recovery solution is so complete, if you are an IT professional, there is no doubt that the EaseUS data recovery will make it an invaluable tool for your toolkit.